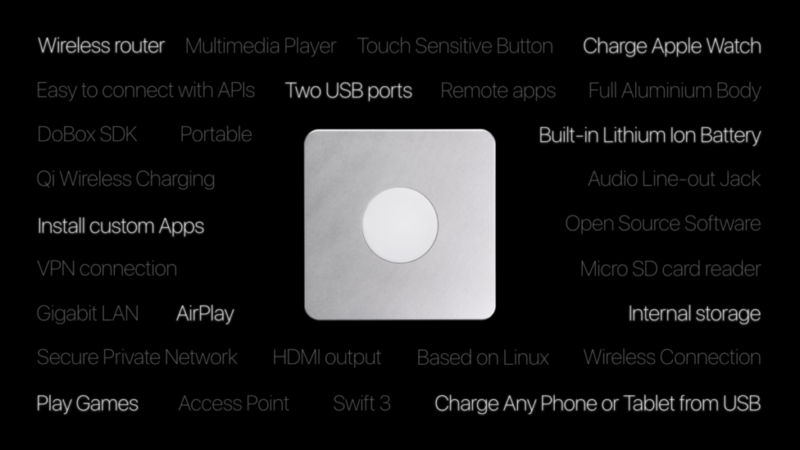 Connect your iPhone, iPad and Mac to any other device wirelessly. speakers, and use them wirelessly through DoBox’s own Wi-Fi. Enjoy the freedom of full connectivity! 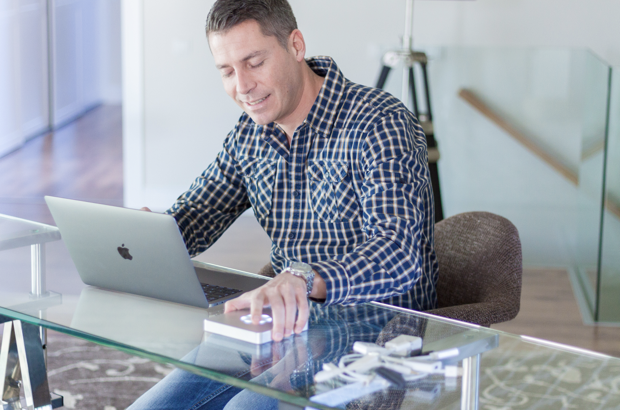 The DoBox has multiple ports to connect an internet cable, flashdrives, hard drives, keyboards, printers, TVs, projectors, monitors or speakers, and use them wirelessly through DoBox’s own Hotspot. Save yourself from dongle hell! 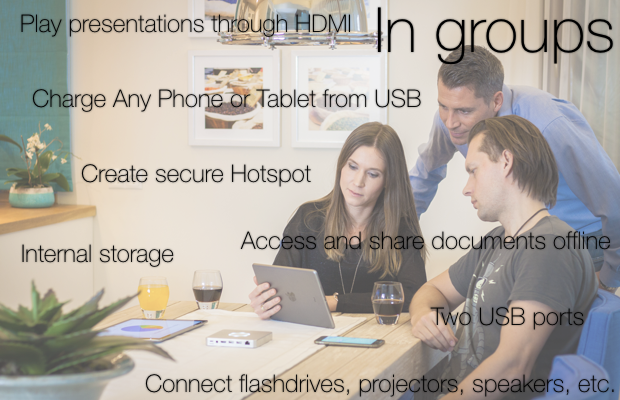 Play your favorite music on any speaker, or play videos on any display or projector through HDMI. 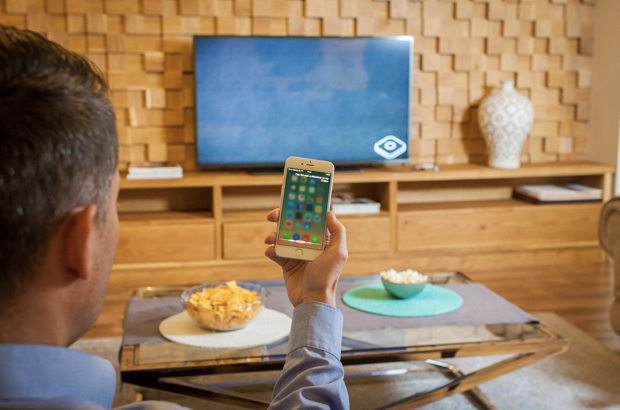 Stream your media files from its internal storage using your iPhone or iPad as a remote controller. Control everything from the comfort of your chair! 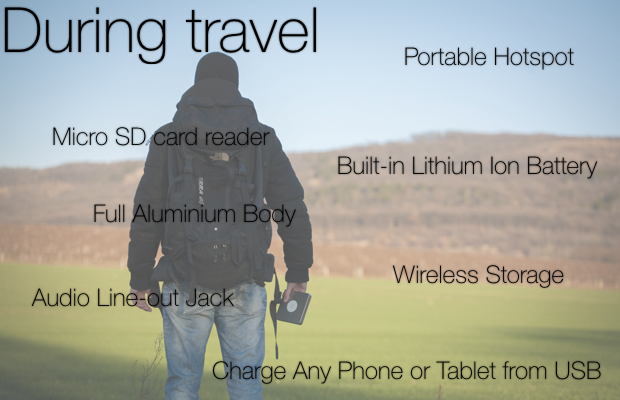 DoBox is fully portable and durable, so you can easily take it anywhere with you. It comes with a built-in 8000 mAh Lithium Polymer Battery to charge your phone or tablet from USB. No need for a separate battery pack. 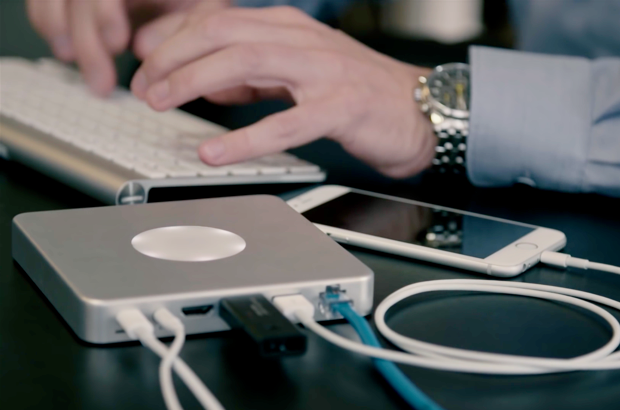 You can use the DoBox as an USB hub when it is turned off. Just connect an USB-C (3.1) cable to your laptop or MacBook, and you can natively use the USB ports at full speed. No need for expensive adapters! 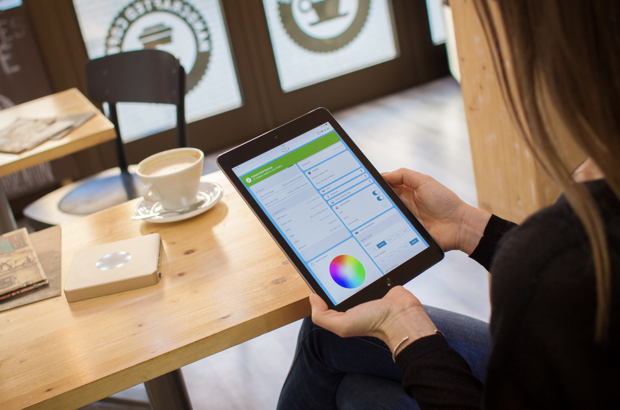 You can backup your photos, videos and documents wirelessly and securely offline. 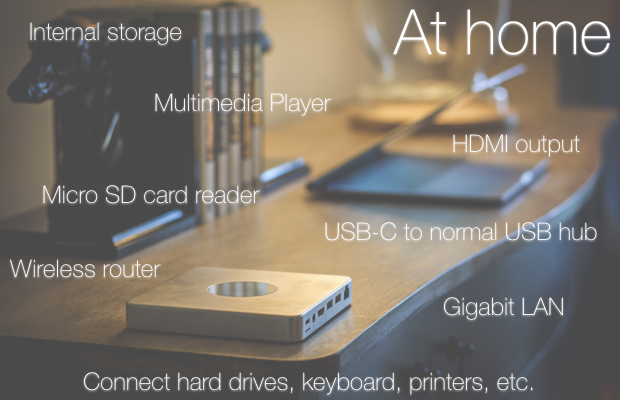 DoBox has its own internal storage, two USB ports for pendrives, plus a micro SD card reader. Never lose your files again! Create a secure Wi-Fi connection from cable internet access or public hotspots. You can use DoBox as a wireless router, as well. Never worry again about someone stealing your data! Now you can share, copy and manage all your music, photos, videos and documents without restrictions among your devices and among your friends even without an internet connection. Free your files from the restrictions of iOS! 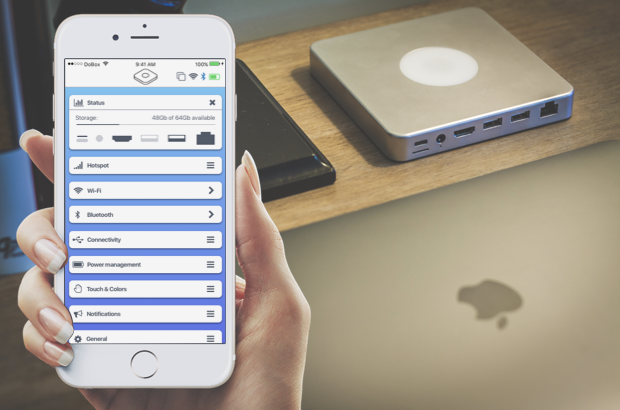 You can easily manage all functions with our free iOS app. You can see DoBox’s status, set the Hotspot, the touch sensitive button color, receive notifications and online updates. Our app is fully integrated with the iOS Files App. Where can you use the DoBox? That’s not all, we also thought about the developers. What do you want to use the DoBox for? Be creative, you can do it with DoBox! We offer you an SDK, so that you can easily use its ports and integrate its functions into your own app.